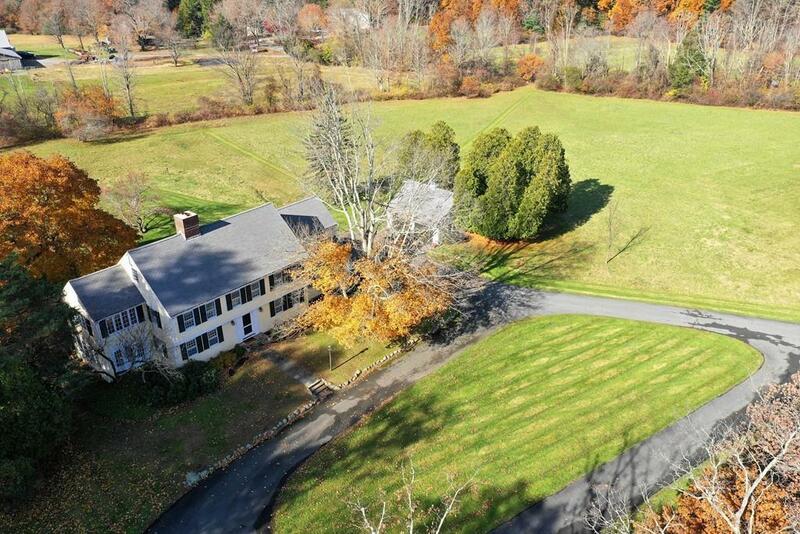 Desirable Farm Street location, expansive meadow views and stunning sunsets. Corner lot with 6 acres. 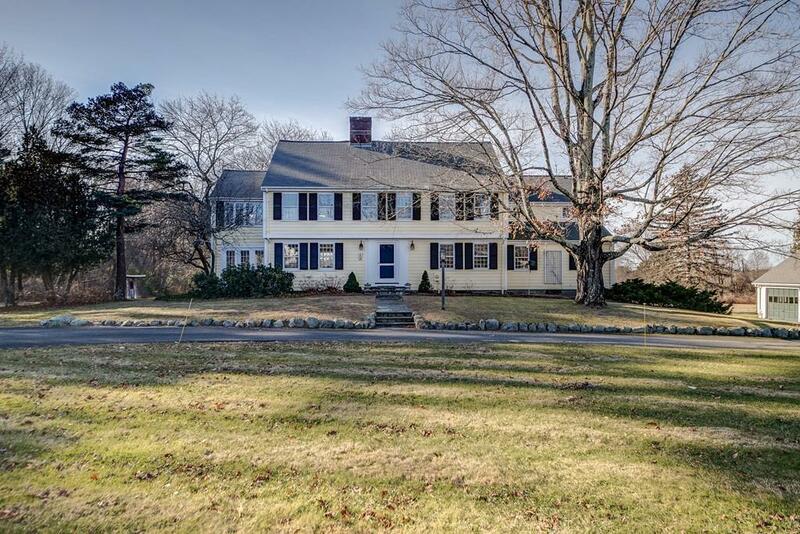 Elegant and updated traditional colonial offers 6 bedrooms, 2 car garage under with separate 2 car garage w loft, 2 stable barn and storage out building. Sunny, bright open kitchen floor plan w dining area, breakfast bar and family room with fireplace, built-ins, access to deck and bluestone patio. 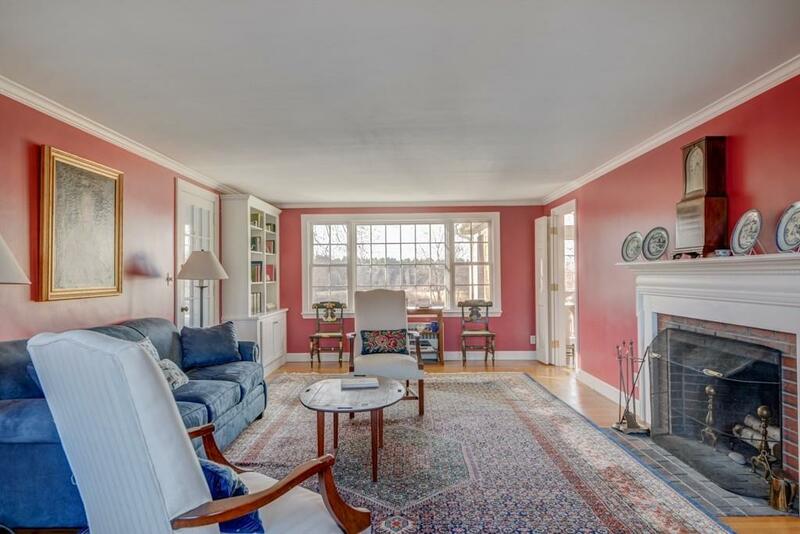 Formal living room with fireplace, dining room and charming 3 season porch all accompanied by first floor guest suite. 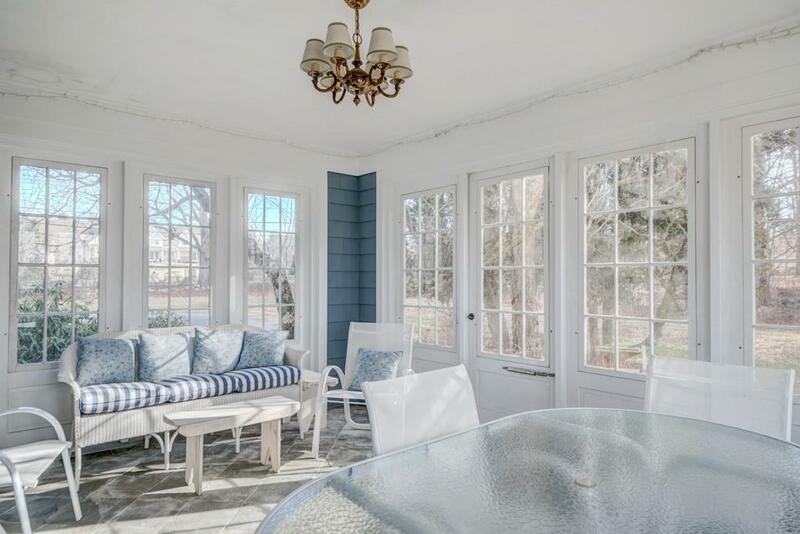 Primarily hardwood floors throughout with fabulous natural light. Second floor master suite includes an office, accompanied by four additional bedrooms and hall bath. Lower lever offers finished game room with access to backyard, mud room, storage and 2 car garage. Beautiful level 6 acres. Must see!